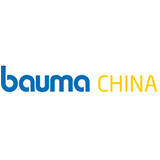 "Asia’s Largest and Most Important Event for the Construction Industry"
Bauma China is Asia’s largest and most important event for the construction industry. It attracts international buyers a fact that guarantees a high return on your investment as well as sustainable success. Today, the show is both a platform for product presentations and a grand industry party for communication, cooperation and continued growth. some local shopping market booth not present, it is so wide. we are not shoping any cloth, accessories for our family.so better u also arrange next time shopping some counter and food counter in exhibition. It deepens the business scope of individuals. Construction vehicles, Earth-moving machines, Road construction and maintenance equipment, Pipe and cable laying equipment and tools, Lifting appliances and conveyors, Construction equipment, tools and special systems, Handling and processing concrete and mortar at construction sites, Formwork and scaffolding, Site installations, Machines for extraction of raw materials and for mining, Handling of raw materials, Mineral processing (incl. coke oven equipment), Manufacture of cement, lime and gypsum compounds for building materials, Machines and systems for producing concrete, concrete products and prefabricated components, Machines and plants for producing asphalt, Machines and plants for producing pre-mixed dry mortar, plaster, screed and building supply store products, Machines and plants for producing lime sandstone and building products using power plant residue (fly ash, slag), Building material handling and packaging plant, Transmission engineering, fluid technology and power generation units, Accessories and wear parts, Services, Test, measurement and process control engineering, Communication and navigation, Job safety.